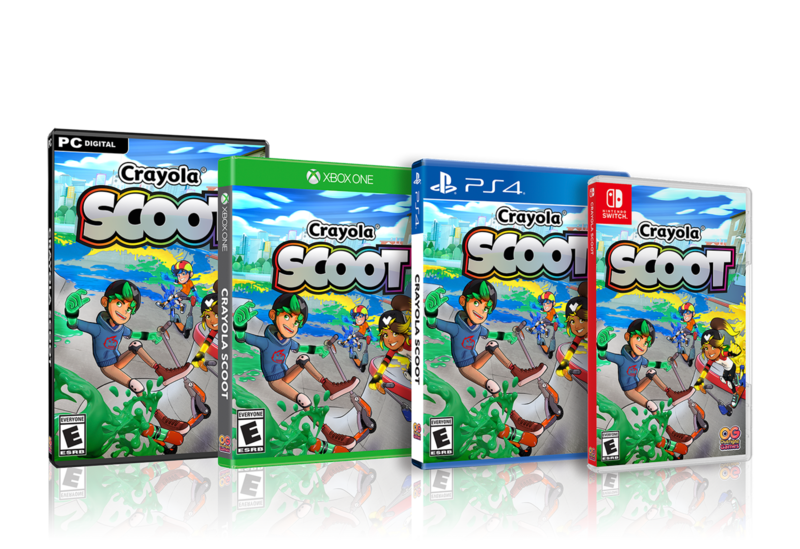 If I had to describe Crayola Scoot quickly, I’d say it’s a hybrid of Tony Hawk pro skater and Splatoon. Crayola Scoot is a competitive scooter game that can be played solo or with up to 4 players. You can play as your own created character, or as a pre-set one. As you play, you gain experience by competing and learning new skills, which helps you climb the rankings and defeat the “legends”. There are challenges where your goal is to either colour the park the most, get the highest score for tricks, race or beat your opponents by being the first to collect 5 crayons. The controls of the game are a bit tricky to understand at first. But you’ll pick them up quickly enough. The art design and graphics are simple, but it’s the simplicity that makes this game. Crayola scoot is a fun and easily accessible game. In fact, I’d say it’s the perfect game for the Christmas season.